I know these are good! and easy! what more so you need for an impromptu party? perfect for summer and maybe even when Hollywood bowl season starts up. can the goat cheese balls be made ahead of time??? 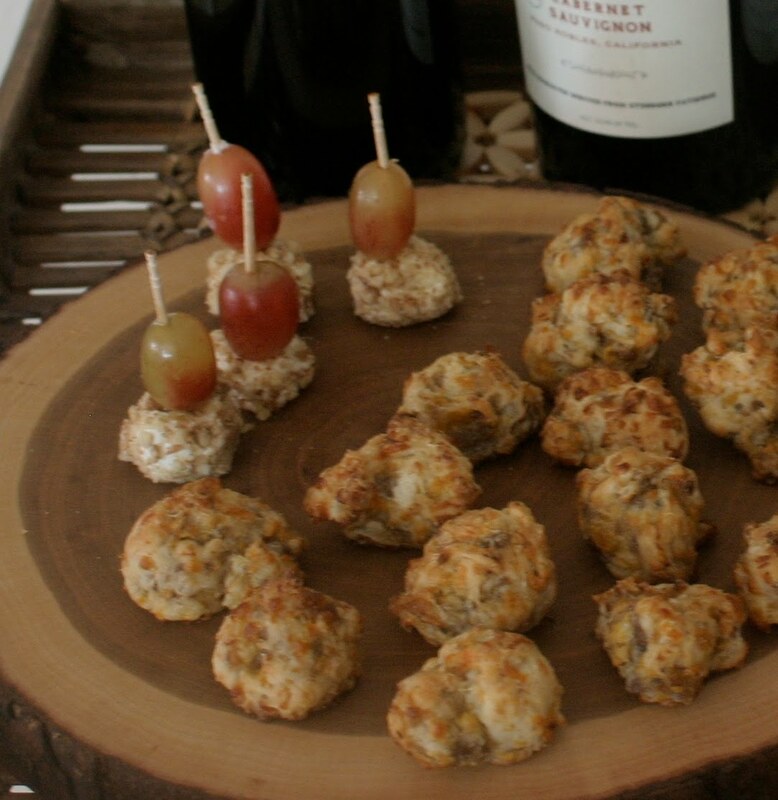 Anonymous: The goat cheese balls can def be made ahead of time. I'd cover them with plastic wrap so they don't get crusty and if you can, roll them in nuts just before so the nuts aren't soggy. Thanks for stopping by. Hey new buddy Cathy... Just served these last night, and they were a BIG hit. Thanks for the recipe, so enjoying your blog. ok how about this one...hubby will DEFN balk at the "goat cheese" so I'll just go for the boozy grapes. Any other alcohols work well w/these? like vodka, or grape flavored vodkas/puckers? hmm...ever try cap't morgan with them? im staring at my booze/wine rack thinking...how about wine soaked grapes? too redundant? ;) THANKS FOR THE IDEA! found it on Pinterest! I made these for a dinner party this weekend and they were a hit. 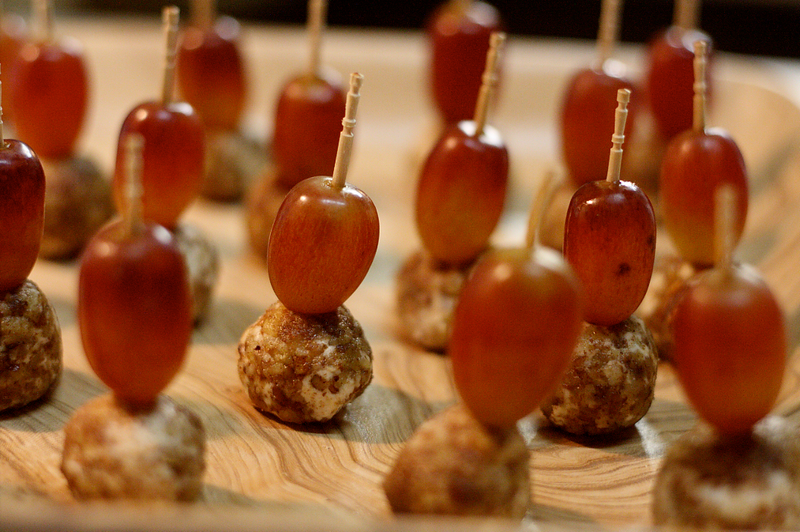 I soaked too many grapes so served the extras along with the goat cheese balls. A yummy adult treat! I am wondering the same thing as Amanda: Will other alcohols work with the goat cheese? Has anyone actually tried it with anything besides bourbon? Or a different cheese/alcohol combo? I just know for sure that the family I cook for in the summer months are just going to love these! Thank you so very much for sharing! I tried this today. Had trouble keeping the cheese from sticking to my fingers to make the cheese balls and then I guess I kept it in the oven a few secs too long cuz they were too soft. But they were still really yummy!!! Could you try something besides goat cheese?